KURT VILE is streaming Bottle It Up. ST VINCENT is streaming her MassEducation reboot. THE FEELIES play the Velvet Underground (and a few originals) at White Eagle Hall. ROSEANNE CASH shares "Not Many Miles To Go." GIRLPOOL shares "Where You Sink" and "Lucy's." PAUL SIMON played “Can’t Run But” and “Bridge Over Troubled Water” live on Saturday night. THE ETERNAL SUNSHINE of Paul McCartney. THE BEATLES have narrowly beaten Adele to the title of Britain's favorite ever studio album. FLEETWOOD MAC: Lindsey Buckingham is suing his former bandmates for breach of fiduciary duty, breach of oral contract, breach of implied covenant of good faith and fair dealing, and more. The band denies the allegations. THE NUMBER ONES looks at Aretha Franklin's towering classic "Respect." WEEKEND BOX OFFICE: Venom repeats atop the chart with 35.7MM on a 56 percent drop that's not bad considering the reviews and the buzz. Sony probably breathes a sigh of relief over the launch of the Spidey-verse. A Star Is Born places with 28MM on a leggy 35 percent drop and probably boosts its Oscars prospects. First Man shows with 16.5MM against a 59MM budget, well short of 20-30MM projections -- and that's got to be trouble because it isn't entirely the move a mass audiesnce wants to see. Next weekend will be key. In fact one wonders if the studio goosed estimates for First Man to nudge it above Goosebumps 2, which takes the fourth slot with 16.3MM. Smallfoot rounds out the Top Five with 9.3MM on a leggy 35 percent drop. ARIANA GRANDE and PETE DAVIDSON decided to end their engagement over the weekend. BRALEY COOPER and IRINA SHAYK are miserable together, or not. RYAN ADAMS tweets about MANDY MOORE, then apologizes, as one does. ANGELINA JOLIE has a few regrets, but then again, too few to mention. IRON FIST has been canceled at Netflix. It is the first Marvel series to be canceled in the Netflix/Marvel partnership. ALADDIN has a teaser trailer online. MEET the world’s first domesticated foxes. A SHARK WHISPERER sticks her hands in sharks’ mouths to help when they get caught on hooks. DOG & MAN reunite after three years apart. ANIMAL ACTIVISTS want India to stop the hunt for a man-eating Tiger. ...with THE FACES! 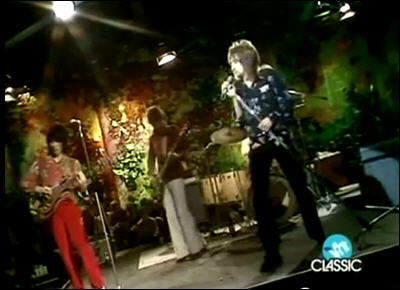 Rod Stewart, Ron Wood, Ronnie Lane, Kenny Jones, and Ian McLagan, live on the Beeb circa 1972. Your setlist includes: "Three Button Hand Me Down"; "Maybe I'm Amazed"; "Too Much Woman/Street Fighting Man"; "Miss Judy's Farm"; "Love In Vain"; "Stay With Me"; and "I'm Losing You." YOWLER streams Black Dog In My Path. BECKY WARREN advance streams Undesirable. THE JIMI HENDRIX EXPERIENCE, Live at Winterland, Oct. 10, 1968. RADIOHEAD, Live in NYC, June 1, 1995. THE GIBSON BROTHERS cover R.E.M. 's "Everybody Hurts" as a roots-rock anthem. 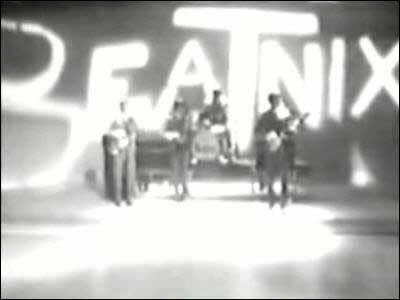 THE BEATNIX cover Led Zeppelin's "Stairway to Heaven." KID ROCK, MIKE LOVE, JEFF "SKUNK" BAXTER and more joined Pres.Trump for the signing of the Music Modernization Act. MY BLOODY VALENTINE is prepping two new albums, and they’re both coming relatively soon. THE MOUNTAIN GOATS' John Darnielle talks about the writing of the oddly anthemic "No Children." THE NUMBER ONES looks at the Young Rascals' sunny amble "Groovin'." NOW SHOWING: This weekend's wide releases include First Man, which is currently scoring 90 percent on the ol' Tomatometer; Goosebumps 2: Haunted Halloween, which is scoring 35 percent; and Bad Times at the El Royale, scoring 76 percent. FIRST MAN: It seemed to me like a Neil Armstrong would be a hard pull simply because what made him great was a steadiness under pressure that would seem to defy drama. But the film does a good job of not exaggerating his few emotional moments and instead letting the drama come from the fact that being that guy takes a certain toll on Armstrong and his family. In addition to Armstrong's head, the film takes you into places like a Gemini space capsule in a way that I don't think we've seen before in movies like Apollo 13.It also reminded me that I'm old because I didn't need the exposition scenes (as brief as they are) to understand why the things Armstrong did before heading the moon were important to getting there. If you're less old or less of a NASA dork, First Man is also a pretty decent primeron how daring and risky the space race was, even if it focuses on the personal at the expense of the political. SCARLETT JOHANSSON lands a 15MM payday for a Black Widow movie. HARVEY WEINSTEIN: One of six sexual assault counts against the disgraced mogul was dismissed in a New York courtroom on Thursday, as prosecutors admitted that police "failed to inform" them about a key interview. SELENA GOMEZ is seeking treatment after suffering an emotional breakdown while in the hospital. STEVE CARELL talks to Esquire about his three new Oscar-buzzworthy movies — plus why The Office wouldn't fly in the TimesUp Era. BLACK PANTHER 2: Ryan Coogler is on board to write and direct the sequel. GLASS has a second trailer online. A HOUND has jumped 31 feet, setting a new world record. A CAREFREE DEER, prancing along the beach at dawn. A 4-FT GATOR was rescued Monday from Lake Michigan after someone reported it swimming near Waukegan, Illinois. A GECKO made a “bazillion” calls from a hospital that cares for Hawaiian monk seals. Slow "news" day, busy work day, but I have Things. KURT VILE covers Tom Petty's "Learning to Fly." AGAINST ME! covers the Jim Carroll Band's "People Who Died." JACK WHITE, covering Blondie's "One Way Or Another" in the '90s. LINDSEY BUCKINGHAM gives his version of how he got booted from Fleetwood Mac. LANA DEL REY threatened to fight Azealia Banks as their online feud escalated. 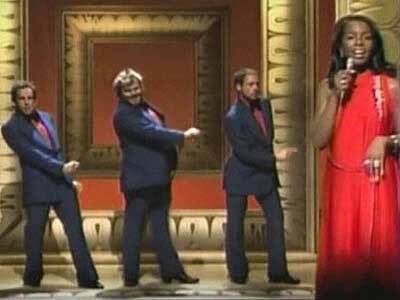 THE NUMBER ONES looks at "The Happening," the Supremes' last song as a unit. PET SEMATARY has a trailer online. ALEC BALDWIN not only plays Trump on TV, but is starting to sound like him. JENNIFER GARNER is back in the dating pool. Helps if you can dance to "Thriller." BRAD PITT denied dating a spiritual healer to the stars. BEN STILLER's high school band is now his adult band. MICHAEL KENNETH WILLIAMS (The Wire) is set to join HBO's upcoming drama Lovecraft Country. AN EMOTIONAL SUPPORT SQUIRREL's owner flips the bird as she’s kicked off a Frontier flight. Rodent's not working. AN INJURED GIANT SQUID Wraps Its Tentacles To A Man's Paddleboard. TOMORROW: One giant leap for mankind, hopefully. 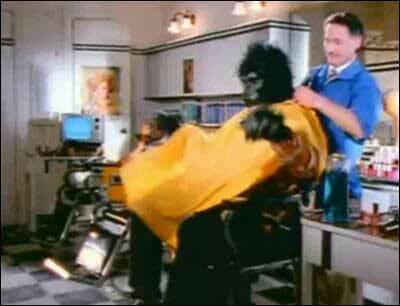 PAVEMENT: "Cut Your Hair." NO BIG HAIR! DEATH CAB FOR CUTIE plays the Palace. HAERTS stops by World Cafe. YOUNG JESUS streams The Whole Thing Is Just There. THE BANGLES cover the Three O'Clock's "Jet Fighter" for a new Paisley Underground compilation of songs covered and reimagined by the bands that defined the scene. VAN MORRISON shares the title track for "The Prophet Speaks." RICHARD ASHCROFT shares "That's When I Feel It." VALLEY LODGE shares the riff-heavy "Come Back to Bed." THE DODOS share "Center of." JOE JACKSON returns with "Fabulously Absolute." THE ROCK & ROLL HALL OF FAME nominees are announced, and the snubs are ridiculous. DAVID BOWIE flunked a BBC talent audition. PETER BJORN AND JOHN: How they made "Young Folks." THE NUMBER ONES looks at Frank Sinatra and Nancy Sinatra's creepy duet "Somethin' Stupid." JAMES GUNN has been hired by Warner Bros and DC to write and possibly direct Suicide Squad 2. Meanwhile, Gunn's BrightBurn has been pushed back from Nov. 30 of this year to May 24, 2019, the beginning of the long Memorial Day weekend, one of the most coveted spots on the box-office calendar. RYAN GOSLING talks to GQ about First Man, moon landing conspiracies, and more. LIAM NEESON says a horse in his new film recognized him from another movie. KANYE WEST is taking a much-needed timeout from social media. BEN AFFLECK and Shauna Sexton are no longer seeing each other. ARIANA GRANDE & PETE DAVIDSON will have a prenup. RUBY ROSE suits up as Batwoman. AVENGERS 4: Possible Spoiler Warning. 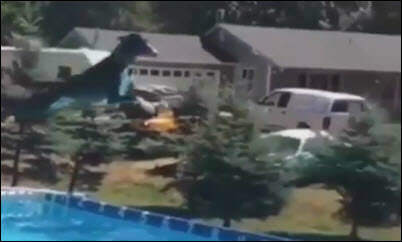 DON'T CALL 911 over a whale. BEAR 409 has been crowned the fattest in the land at Katmai National Park. "ONCE A TIGER encounters a person and kills, it may develop a taste for human flesh, which, Mr. Khan says, is sweeter than other animal meat because of all the ginger, salt and spices people consume." ZOMBIE RACCOONS Were Captured In Prospect Park, NYC. ST VINCENT plays Austin City Limits. NIRVANA's surviving members reunited with a six-song set at Cal Jam 2018 ft. Joan Jett and Deer Tick's John McCauley. FADE advance streams the Fall In Love EP. BEDOUINE covers Elton John and Linda Perhacs in time for Twofer Tuesday. UNCLE TUPELO: Anodyne turns 25, prompting an oral history at Rolling Stone. BELLE & SEBASTIAN's Stuart Murdoch talks chronic fatigue syndrome on CNN. THE MOUNTAIN GOATS' John Darnielle curates Molly Ringwald, Michael Shannon and more for a Halloween stories event in NYC. THE NUMBER ONES looks at the Turtles' deathlessly sunny "Happy Together." AQUAMAN shared an extended trailer. DAKOTA JOHNSON & CHRIS MARTIN are not having a baby yet. ROSE McGOWAN clarifies an interview in which she called MeToo BS. BUSY PHILLIPS claims JAMES FRANCO assaulted her while they were filming a scene for Freaks and Greeks. JAMES BOND will never become a woman. TWILIGHT is turning 10, having launched the female-driven YA genre. FANTASY ISLAND, with Michael Peña as Mr. Roarke? KUNG FU BULLFIGHTING: Tips for those just starting out. A SWAMP DOG's favorite thing is submerging his entire body in mud. THE ART OF subtly hinting that you're not getting enough attention. THE WORLD'S LARGEST CENTIPEDE turned up in a Hawaiian garden.